The Bermuda Alumnae Chapter of Delta Sigma Theta Sorority, Inc. will be holding their 17th Annual Children’s Reading Festival this Saturday, November 19th. With the aim of promoting literacy, this event provides a free book to children from birth to primary six. Additionally, there will be local authors, story tellers, literacy games, arts & crafts, face painting and fun castles. Parents will have an opportunity to talk with experts in the literacy field such as speech and language pathologists, reading specialists and learning support teachers. Mrs. Rosette Simmons, President of the local chapter states, “The Bermuda Alumnae Chapter is proud to once again host our signature event – The Children’s Reading Festival. 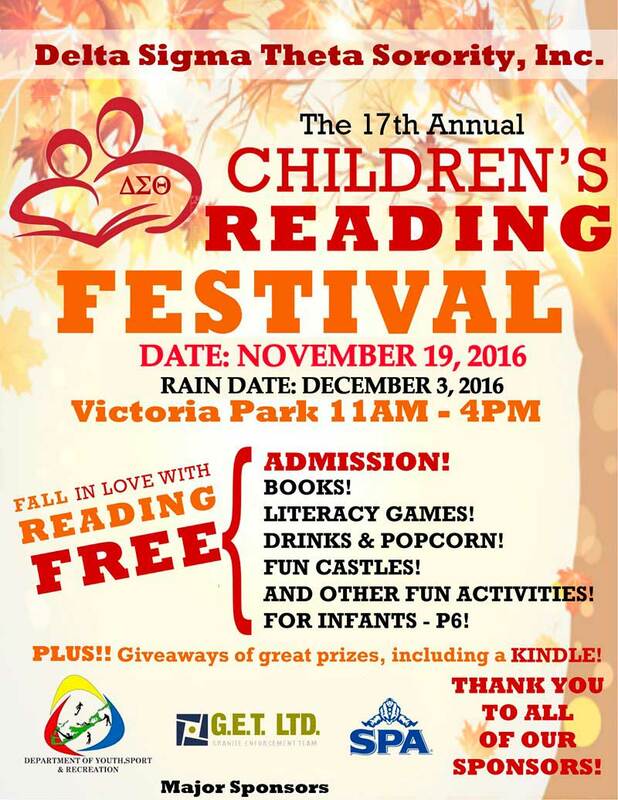 The Reading Festival will take place from 11:00 a.m. til 4:00 p.m. at Victoria Park. Each child in attendance will receive a free book, snack and drink. Additional food will be available for sale. Delta Sigma Theta Sorority, Inc., is a public service organization of college educated women whose purpose is to provide assistance and support through established programs in our community.